Health: What’s in Your Personal Care Products? Looking for a fun, creative, indoor activity to do with your child? FirePit Ceramics offers “Tots and Pots” Friday afternoons from 1-2 p.m. Each session features a story time, followed by a project in clay or a painting project. We got a group together to check it out last Friday. The staff was very gracious and patient with the children. Following the theme of the story, we got to make a hand impression in and paint a clay “fishbowl”. I can’t wait to see my daughter’s very first clay project once it gets fired. Thumbs up for Tots and Pots! 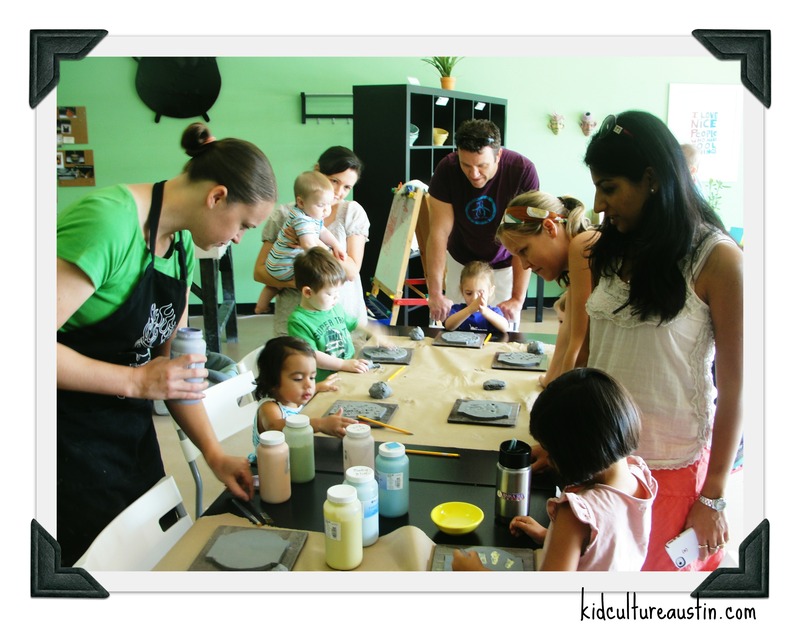 FirePit Ceramics also offers a variety of other pottery classes for kids. 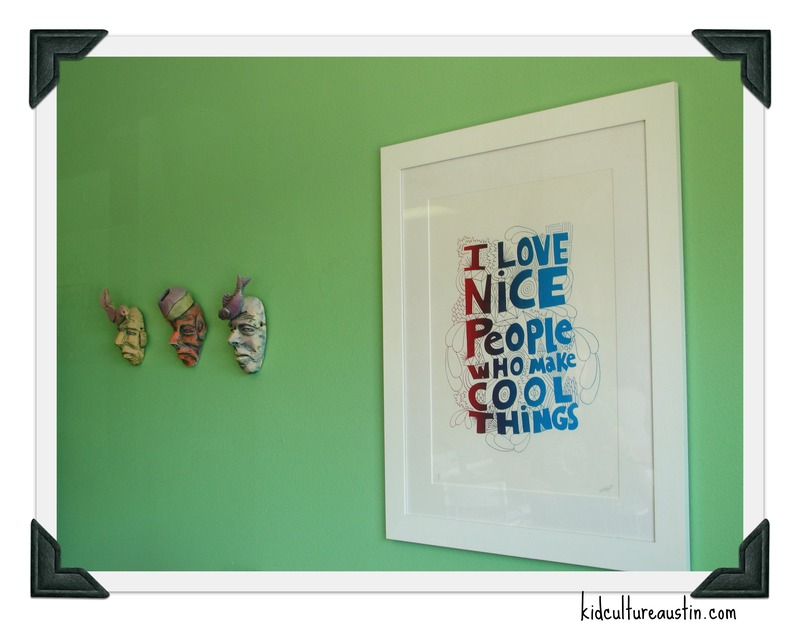 Follow Kid Culture Austin and get all my latest posts! It’s best to call ahead to confirm your spot. Fri, 08/10/2012 – 1:00 p.m. – 2:00 p.m.
Get All Our Facebook Updates. 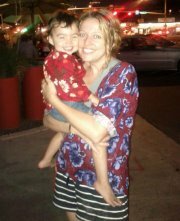 mom2benc: I want to start a toddler book club but am wondering how many toddler to invite. 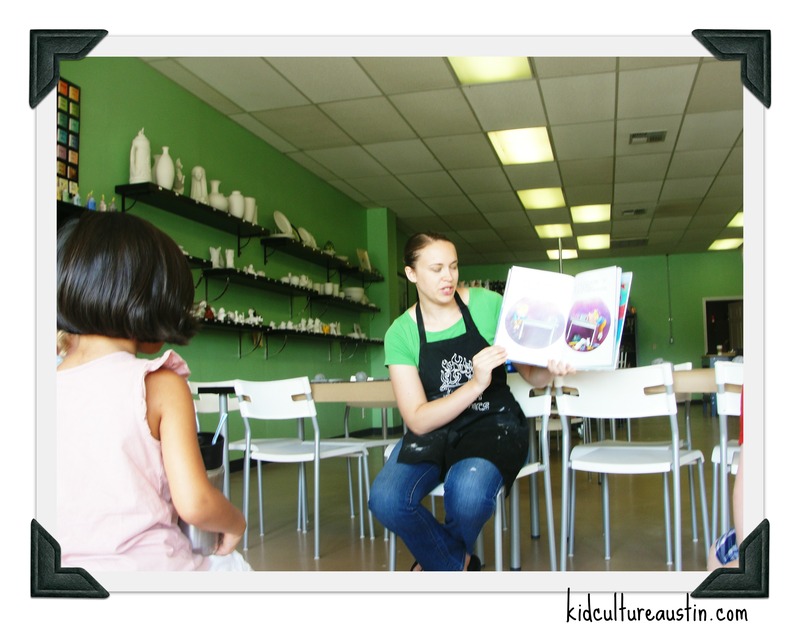 Follow Kid Culture Austin via Email!